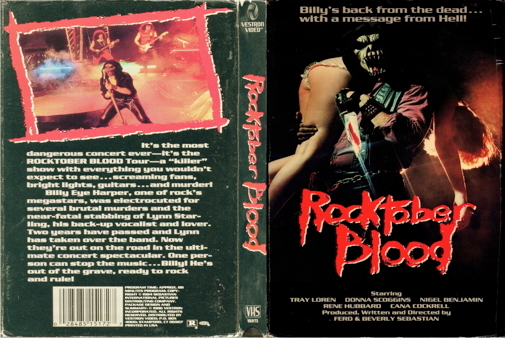 This slasher film begins with rock star Billy Eye (Tray Loren) losing his last thread of sanity and gruesomely killing his colleagues at a recording studio. Billy is tried, found guilty and executed. The woman who testified against him at his murder trial is a successful singer with a group called Rocktober Blood. Two years have gone by, and just when she thinks the horror of the murder case is dead and buried, someone that looks a lot like Billy starts to terrorize her.